Last week I continued my look at using the awesome Tales from the Loop roleplaying game as a base for the rules for a Harry Potter RPG, taking a closer look at how the Attributes worked in Tales from the Loop, as well as other games that use the same incredibly simple system (Mutant: Year Zero, and Coriolis). Brave, Cunning, Loyal and Wise. I also decided to untether the Attributes from the Skills. That way, you free up the player to not only behave more like their House, but also to come up with imaginative ways of doing things. It also means that you can work with the same low number of Skills and have them do multiple things. Now we've brought up the topic of Skills, lets look at how they can work in the game. As I mentioned a few weeks ago, the first thing I did was look at the existing games with the same engine at its heart, comparing the fantastic Tales from the Loop with its sibling games, Mutant: Year Zero and Coriolis. I was surprised to see that Coriolis broke the trend of having three Skills that tied to each Attribute (and expanded the list of Skills to 16). Even though I decided to break the ties between the Attributes and Skills, I really liked the idea of keeping to the simple list of 12. Force - This is basically the same as Tales from the Loop. It comes into play when you're lifting something, fighting physically (punching Draco on the nose, swinging the sword at the Basilisk, etc) or enduring strain, pain, fatigue, etc. Move - Again, this is like Tales from the Loop and is used when you're physically moving about, climbing, running fast, balancing... anything that requires dexterity. Combined with Cunning it acts as Sneak as well. Travel - This is a new one. This is for other modes of transport or moving, usually magical. Travel is used when you're flying a broom, apparating, using the floo network, riding a magical creature, as well as driving a car (enchanted or not), riding a bike, or even if a roll is needed with a portkey. Investigate - This is similar to Tales from the Loop and is all about looking for clues, as well as researching and hitting the books in the Library. Comprehend - Again, similar to the Tales from the Loop skill, it's about knowing the right thing and putting the clues together, or knowing where to look for something. It's also vital for understanding your studies at Hogwarts so you don't fail your classes. Convince - This is like the Charm Skill in Tales from the Loop (but obviously we can't use Charm as a name for it) combined with Lead. It is used to charm someone, lie to them, convince them that they can do it, lead them as a group, or manipulate someone. Friends - Like the Contact Skill in Tales from the Loop only with added effects. You can use Friends when you need to know the right person, or know who can help with a certain problem, but you can also use the skill when cheering someone on, or making new friends. Empathy - is all about understanding what other people are thinking or feeling, helping when they are sad, scared or confused. Empathy is also a vital Skill for your Care of Magical Creatures class, knowing how to react and understand what the creature is thinking or feeling. Charms - Charms are all of the spells that give the target new properties, whether that is light, levitation, fixing something, unlocking something, etc. For example: Accio, Alohomora, Lumos, Silencio, Wingardium Leviosa. Transfiguration - Transfiguration classes are about changing the properties of a target, including switching, conjuring or vanishing. For example, Engorgio, Aguamenti, Incendio, Serpensortia, Reparifarge. D.A.D.A. (Defence Against the Dark Arts) - while the class is about defending yourself against the dark arts and dark creatures, D.A.D.A. as a Skill also covers all forms of hexes, jinxes and curses, as well as defending yourself against them. For example, Expecto Patronum, Expelliarmus, Flipendo, Levicorpus, Protego, Rictumsempra, Stupify. Why have I split the magic like this? Well, it's to avoid a "God Skill". If all magic use was one Skill, at character creation you'd put all of your points in it and it would quickly become the most used Skill-check in the game. Splitting it into three (hopefully logical) categories spreads it about a bit and produces some wizards and witches who are good at Charms, but not necessarily great in a duel, and so on. I started a basic list of which spell works with which Skill, though it should be down to the GM to determine any disputes or make any decisions depending upon the situation. I'll look at magic in more detail next blog post, but hopefully it should make sense. It's a work in progress, and the rest of the character sheet will develop as these blog posts continue... 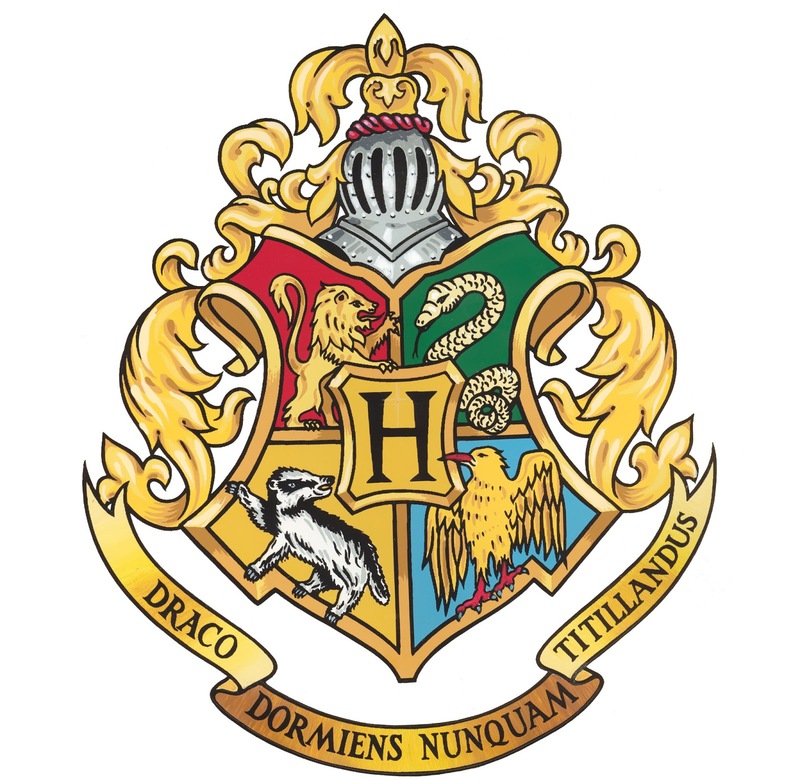 Fill in the Attributes in the Hogwarts Crest, and the rest is as normal. 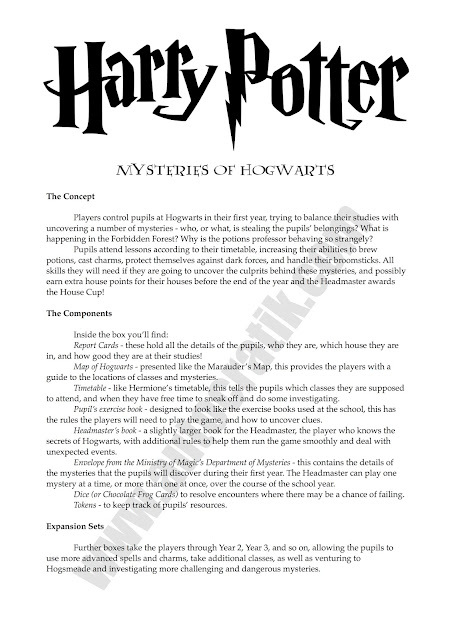 Next post I'll address magic, and continue building the Harry Potter RPG/Tales from the Loop hack! No Tales from the Loop game this week, but I have been continuing my thoughts of using the game system to run Harry Potter. 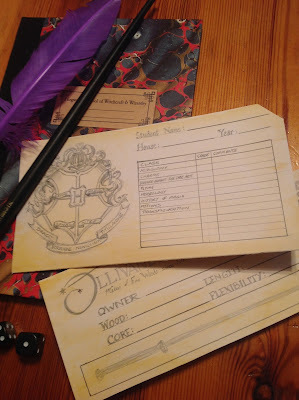 Many, many moons ago, when I first started thinking about Harry Potter as a tabletop roleplaying game, I started working out what Attributes and Skills would work the best for the game. After initially planning on using a simplified version of the Vortex system, the system I'd developed for Cubicle 7's Doctor Who RPG (Adventures in Time and Space), I thought about just having four Attributes - one for each Hogwarts House. 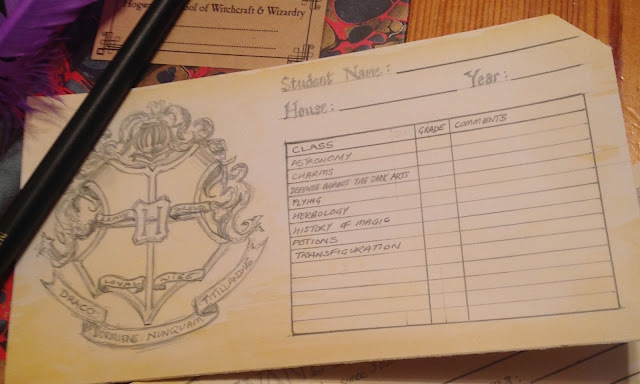 The original idea for the character sheet was a report card - note the houses on the crest are empty to fill in values! Originally, as you can see in the image, I'd thought of having Brave, Shrewd, Loyal and Wise as Attributes. Let's come back up to date and look at how I've been stripping the Tales from the Loop system down to use for Harry Potter. That leaves two Attributes. If you think of the physical things the characters in Harry Potter do, they're either being daring and brave - flying, punching Draco, heading into dangerous places, hanging out of flying cars, etc. Or, they're investigating - sneaking about, finding stuff, etc. Your student is defined by four Attributes that help you overcome Trouble and continue your studies at Hogwarts. The Attributes are: Brave, Cunning, Loyal and Wise. Attribute scores range from 1 to 5. Brave - is the student's ability to face danger, swing the sword of Gryffindor at the basilisk, punch the bully in the nose, run down a corridor when the ceiling is collapsing, fly a broom in a storm, climb, or hold your ground. This is the highest Attribute in most Gryffindor students. Cunning - is the ability to sneak around the corridors at night, pinch vital ingredients from the potions class supplies, deduce strange puzzles, make a sneaky attack when duelling, bluff your way out of trouble, distract someone, or convince them to do something for your own benefit. This is the highest Attribute of most Slytherin students. Loyal - is all about the student's relationships, understanding what they are thinking, making friends, know the right people, helping them to overcome their problems, and reassure them when they doubt their actions. This is the highest Attribute of most Hufflepuff students. Wise - is about knowledge, learning and understanding. This is the ability to learn, study, deduce, solve riddles, understand clues and remember the vital information needed at the right time. This is usually the highest Attribute of most Ravenclaw students. Until next time, stay multi-classy!! Having one of those "What's the frelling point?" days today, looking at WILD and feeling like it's all nonsense and that no one will ever want to read it or play it. One of the problems sometimes of having too many ideas and not enough motivation or the means to go through with it. Bonus points if you recognise the 80's movie it is from! As a means of distraction, I've been continuing my thoughts of using the Tales from the Loop system to create a Harry Potter RPG. We had another excellent game of Tales from the Loop last night, resolving one of the plots of the many we'd uncovered in the mystery landscape. Last post, I started discussing how the Pride and Luck rationing could be tweaked to better reflect the Kids' time at Hogwarts, rather than out in the field filled with bizarre technology and weirdness. 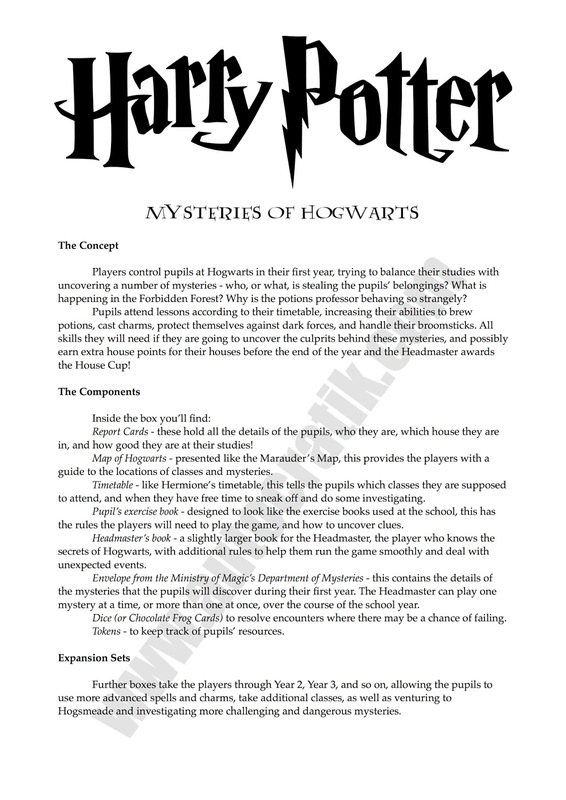 The next stage is taking a look at the Attributes and Skills used in Tales from the Loop and seeing what needs to be changed to suit Harry Potter. It's strange, but I had weird flashbacks to Star Trek. A couple of years ago, when I first started talking to Modiphius about working on Star Trek, they told me it would be done using their 2D20 system and I should take a look at that and see how it could be adapted to suit Star Trek. The first thing I did was look at the 2D20 games they had published, or were in the works, to start "breaking the rules" - so to speak. Breaking the rules down into their components to see how it works. A sort of reverse-engineering. I looked at Mutant Chronicles, Infinity, Conan and John Carter, knowing that they wanted a level of complexity in the middle of the range (if Infinity/MC was the complex end, and John Carter was 2D20 "lite"). First thing I did was make notes of what Attributes and Skills were used for each incarnation of 2D20, and see what related to what. 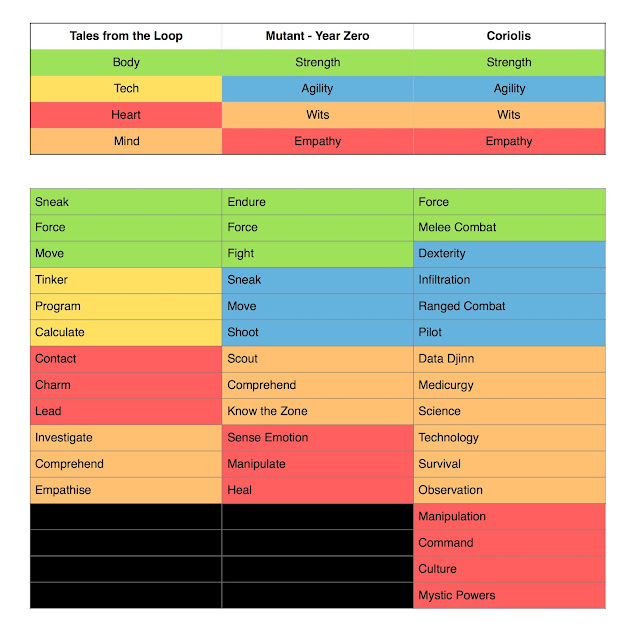 I also took a long look at the previous incarnations of Star Trek - the FASA, Last Unicorn Games and Decipher versions - and looked to see what they had considered essential skills and attributes in their interpretations of Trek. and how they broke down the skills and attributes. Eventually, I came up with six Attributes, and the six "skills" (which were basically the posts on the crew, two for each Star Fleet Division). The Attributes were Bravery, Control, Empathy, Presence, Reason, and Resilience. And the "skills" were Command, Conn, Medical, Science, Engineering, and Security. Those Attributes changed shortly after I left the project, but you get the idea of where I was going with it. I started doing the same with Tales from the Loop. I knew the system was used by a couple of other excellent games - Mutant: Year Zero, and Coriolis - so I thought I'd look and see what Attributes and Skills were used for each of these games. And by that, I wanted to take the ties off. One of the first things I suggested for Star Trek was to untie the relationship between Attribute and Skill. Sure, it means that some players will want to always use their strongest Attribute to do anything, but the situation will determine if a certain Attribute or Skill comes into play. If you want to lift a rock to hit someone with it, you'd use Resilience and Security (as it's combat). If you want to lift a rock off of someone who is pinned, you'd use Resilience and Medicine. If you want to lift a rock off of someone while lava is approaching, you could use Bravery and Medicine. If you wanted to lift a rock to see what is underneath, you'd use Reason and Science. If you wanted to lift a rock to by wedging something under it and levering it free you'd use Resilience and Engineering. Looking at the system used in Loop and the other games, the skills are firmly tied to an attribute... I'm quite keen to break those ties as the first stage. I'd also like to use similar Attributes to Tales from the Loop - but Tech needs replacing. Next comes the big issue which I'll be pondering over the week - what should replace Tech? Would a Magic Attribute be too powerful? Instead of me just getting frustrated that the game doesn't exist, I just figured I'd pop my ideas down here in a "thinking out loud" way so you could see which direction I was heading in. There are a few sticking points when it comes to tweaking the Tales from the Loop system to working with Harry Potter. Of course, the big question would be how magic works, but I'll come to that later. In Tales from the Loop, the older you are, the more experienced you are and the more capable you are of doing things. Age means you've learned more, can do more, and sometimes people take you a little more seriously. You also get more points to put into your Attributes. As you grow, your Attributes increase too. To balance this, the characters have a "Luck" stat which allows them to reroll when they've failed. Your "kid" (as the characters are called) is aged between 10 and 15 years old, but your starting Luck is equal to 15 minus your age. So if you're 10 years old, you have 5 Luck points, etc. My character in the game we're playing at the moment is 13, so has 2 Luck Points at the beginning of each session. In Harry Potter, we follow the characters longer during their time at Hogwarts, so the easiest option for this is to allow more Luck Points (mostly because they will not have the benefit of an "Iconic Item" - more on that later). So, I'm going with your Luck being equal to 8 minus your year at Hogwarts. So first years start with 8-1 = 7 Luck Points at the beginning of each session, and a fourth year starts with 8-4 = 4 Luck Points. Pride is a really interesting stat in Tales from the Loop. It's something that gives you a boost, makes you feel strong, or awesome. It's usually something that motivates the character, but it is also used to give you an automatic success if you think your Pride comes into play in a particular circumstance in your game. You only get it once per Mystery, but using it also means you get XP. Gryffindor - Bravery, Chivalry, Courage. Hufflepuff - Loyalty, Kindness, Honesty. Ravenclaw - Wisdom, Creativity, Originality. Slytherin - Cunning, Ambition, Leadership. If your student acts in keeping with their House, they can use the benefits just like Pride. I'll follow this up in coming weeks with a look at tweaking the Attributes and Skills to suit the wizarding world. Before I finish though, I thought I'd share a little document I found on my hard drive. Over a year ago (the date on the file is January 2017) I'd had another surge of determination about the Harry Potter RPG. I'd started to think that maybe the game could get to the licensing stage if the words "roleplaying" were omitted from any pitch.